"Hiruscar Anti-Acne is a dermatological skincare formulated specially for acne prone skin. It is lightweight and is quickly absorbed into the skin. Our products are also gentle and does not dry out your skin. It can be conveniently used under makeup! It contains MPS for maintaining skin moisture, Aloe Vera to soothe redness and salicylic acid for its anti-acne benefits." Also, one can apparently see acne improvement in 2 days. As someone with oily, blemish-prone skin especially during that time of the month, I couldn't wait to test the range out and see if it's true. 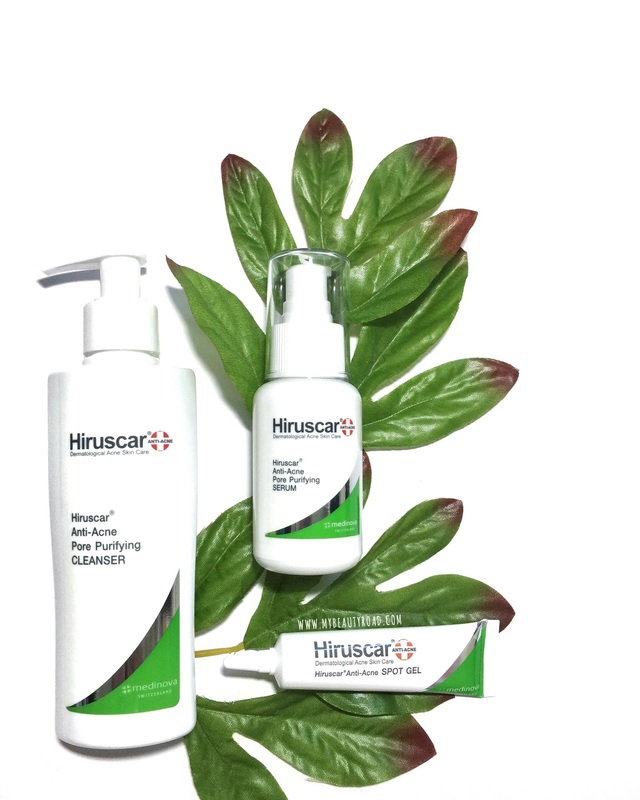 Ready for the breakdown of all 3 Hiruscar Anti-Acne products? Let's go!